The Crosby House dates from ca. 1860 and was built by Nathaniel Crosby III. Nathaniel III had married Cordelia Jane Smith in August 1860. Miss Smith was the daughter of Jacob and Priscilla Smith who lived in the Lacey area. Dr. Nathaniel Ostrander, a well-known pioneer doctor and his wife Eliza Jane Yantis Ostrander purchased the house in 1872. The Ostranders owned the house until 1903 when it was purchased by Frederick and Elizabeth Hahn. E. S. Cuyler and Lena Cuyler purchased the house in 1918 and Joseph and Mary Louise Parker in 1941. The house was placed with a trustee, William Manier, a local attorney, and through the efforts of the Schmidt family and descendants of the Crosby family, the house was purchased and donated to the Daughters of the Pioneers of Washington, Chapter 4 in 1941. 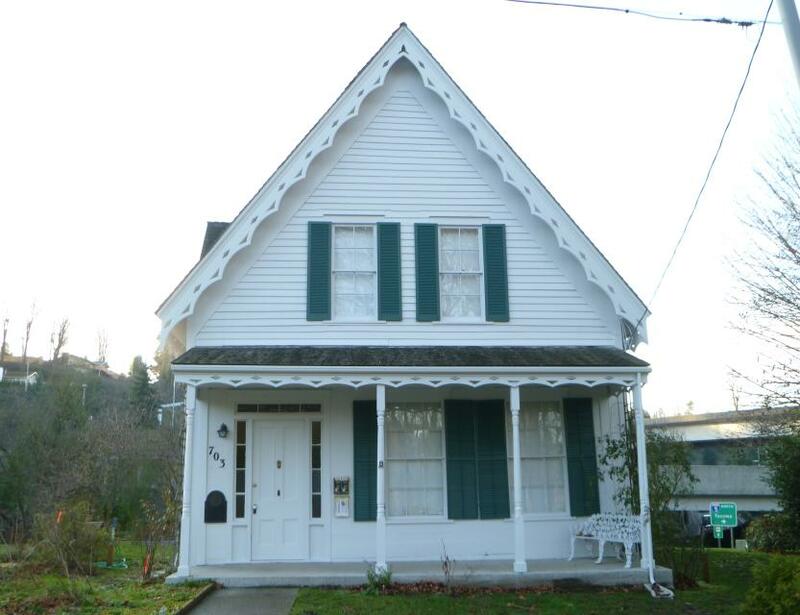 The Daughters of the Pioneers in 1978 gave the house to the City of Tumwater with Provision that the Daughters would have a life estate in the property as long as Chapter 4 continued. The Daughters of the Pioneers have restored and furnished the house and indeed have fought valiantly to keep the house through the construction of Deschutes Parkway and Interstate 5. The house also features a pioneer garden. Listed on the Tumwater Register of Historic Places, the National Register as part of the Tumwater Historic District and individually listed on the Washington State Register of Historic Places.